What women have done to hide their pregnancy in the first trimester. Finding out you’re pregnant can be equal parts exciting and nerve-wracking. At the sight of those two lines on a pregnancy test, you’re thrilled. You’re having a baby. Of course you’re thrilled. But it’s fair enough to want some time to yourself and your partner to soak up the news, to start getting things in order, and to arrange an on-trend (that’s a given) pregnancy announcement. 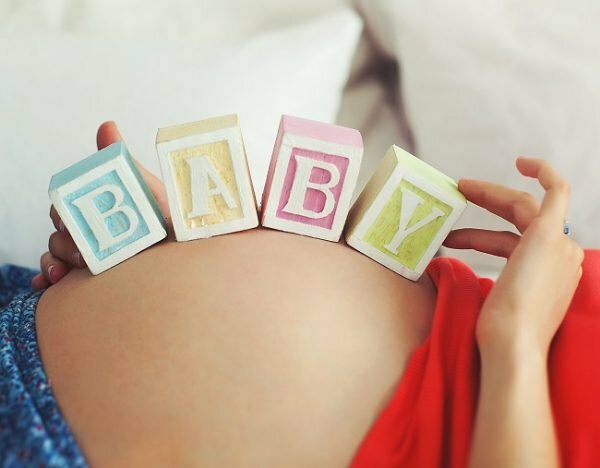 Which leaves many mums-to-be asking themselves the same question: How can I make sure no-one finds out I’m pregnant during the first trimester? Well. Pregnant women may look gorgeous and glowing with their beautiful baby bumps, but don’t be fooled. They’re an ingenious group of women who’ve come up with some clever, clever ways to keep their big news a secret. Tissues are a necessary prop... Image via iStock. One of the top strategies used by pregnant women trying to keep their pregnancy under wraps is feigning illness. From having the cold, a flu, a stomach bug or, yes, even diarrhoea, most of these have all been taken for a test run by expectant mums and worked like a charm. Pro tip: an added bonus to saying you have &apos;the flu&apos; or a like illness is getting away with telling people &apos;you&apos;re on antibiotics&apos;, an added layer of protection when you&apos;re not drinking. 2. Order a drink that can pass as alcoholic. Pregnant women are the champions of making a drink appear to be alcoholic when it&apos;s actually anything but. A lime and soda in a tall glass is the perfect go-to beverage that can be passed off as vodka. Another incredibly common option is apple juice in a beer glass. If you&apos;re out to dinner or at an event, many will just order a mocktail. They look exactly the same as what everyone else is having and you can avoid the whole &apos;why aren&apos;t you drinking&apos; conversation entirely. And while this can take work, it&apos;s worth mentioning you&apos;re not alone. Pregnant Pause is a great initiative of the Foundation for Alcohol Research and Education (FARE) that helps women not just in these first few months, but throughout their pregnancies. With the National Health and Medical Research Council (NHMRC) alcohol guidelines stating it&apos;s safest for pregnant women or those planning a pregnancy to drink no alcohol, nine months without it is a long time. That&apos;s why the Pregnant Pause campaign is trying to make it easier on mums-to-be by building a strong support system that will help families achieve this and give babies the best start in life. 3. Get a friend in on it. Find a friend who knows how to keep a secret. Image via iStock. As many pregnant women would know, the importance of support from friends, family and loved ones during this period is undeniable. If you&apos;re a bad liar, and let&apos;s be honest, many of us are, then getting a friend in on the web of lies with you can work like a treat. If you also have a bad memory, this one is a life saver. Many women will get a friend to cover for them in scenarios where it&apos;s easy to be caught out, like at an event or function. Friends can also double as drink disposal units. So versatile, aren&apos;t they? Another great way to get a friend in on it is to get them involved in Pregnant Pause, which encourages Australians to go alcohol free during their pregnancy or the pregnancy of a loved one. It&apos;s all about making it easier on expectant mums, by building a strong support system from friends, family to partners. If you&apos;ve got a partner or friend doing it with you, it&apos;s a whole lot more manageable. If you&apos;re really not the type to try and pass off your drink as alcoholic, some bold pregnant ladies have just pretended their system couldn&apos;t possibly take any more wine after last weekend&apos;s bender. Pretending you&apos;re having an off week because you simply partied too damn hard is a commonly accepted strategy, especially if you&apos;re known as the wild one amongst your inner circle. My favourite line is &apos;I just can&apos;t look at another drink&apos;. You heard it here first. Take that extra time to decide on your outfit. Image via iStock. This one might be stating the obvious, but putting some thought into hiding your growing belly is helpful as well. A wrong choice in outfit to the office can give away your pregnancy long before you&apos;re ready to make it public knowledge. Dressing a changing body can be a challenge all on its own but it pays to pay some attention to your wardrobe. That way, you&apos;re not fielding any unwarranted questions. 6. Become a drink collector. If stating that you&apos;re not drinking or tiptoeing around with a pretend drink don&apos;t tickle your fancy, then take all of the alcoholic beverages you like, just don&apos;t drink them. You&apos;d be surprised at how few people notice. Pregnant women have found some truly incredible ways to dispose of their unwanted drinks. From pretending to take a sip, to tipping champagne off a balcony at a party when no-one is looking, these ladies really have been there and done that. And of course, if you&apos;re not pregnant and happen to notice that your friend/colleague/that lady down the road is doing one (or all) of these things, do them and yourself a favour and quietly keep it to yourself. Trust us, they&apos;ll thank you for it later. What did you to do hide your pregnancy in the first trimester? This content was created with thanks to our brand partner Pregnant Pause.